Ron retired in September 2016 as a Senior Vice President-Investment Officer from Wells Fargo Advisors after a 43-year career. This was the only career he had as an adult. He has volunteered on The Ecumenical Center Foundation Board for approximately five years. He is very passionate about the Seeds of Hope Garden, and was excited to be a part of this peaceful outdoor space. Ron has always been supportive of The Center because of its ecumenical approach to helping the community. He sees The Center as unique because it’s an organization that encompasses all denominations. Marla is a Licensed Professional Counselor who retired from BCFS in 2011; however, God had other plans. She has served on the The Center’s Foundation Board for approximately five years and has been counseling at The Center for three years. She has attended professional conferences at The Center for 15 years because of their high quality and affordable price. Marla has taken on special cases of counseling adults and adolescents, and has recently begun counseling with The Center at First Baptist Church of Sutherland Springs. She sees The Center as a very community-minded organization, one that is ready to meet any need necessary. This can be seen in the work they’ve done ministering to the people affected by the mass shooting at First Baptist Church. Although Marla works part time, she loves being a part of the talented and supportive staff at The Center. She has always felt called to counsel people from a faith-based perspective. It’s been a privilege to be a part of this professional organization. 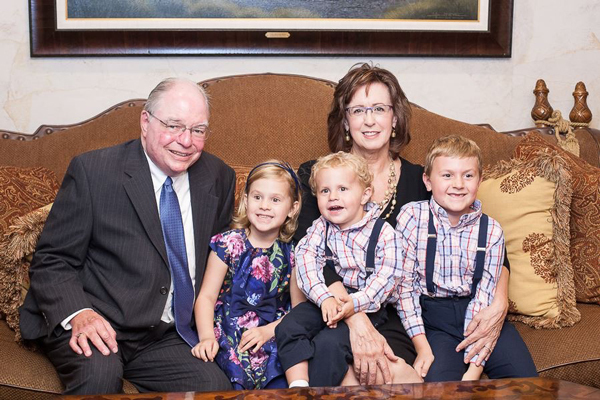 Share the post "Board Member Spotlight: Ron and Marla Rushing"